Perhaps someone you know should know about this service! An Ottawa organization is hoping a simple phone call to someone with the time to listen can help seniors struggling with loneliness. 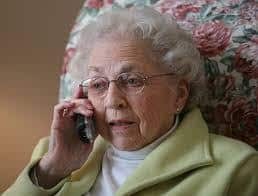 Rural Ottawa South Support Services is now operating a line called “A Friendly Voice” which allows seniors to call in and get a sympathetic ear. Kelly Dumas, the organization’s executive director, said the agency believes there’s a real need for such a service. “There is such a large population of seniors who are lonely and isolated and just want a person to talk to,” she said. The line, available locally at 613-692-9992 or toll-free at 1-855-892-9992, is staffed 24 hours a day, 365 days a year.